Considering purchasing the KRK Rokit RP5 G3 White? Have questions? Ask people who've recently bought one. Do you own the KRK Rokit RP5 G3 White? Why not write a review based on your experience with it. finally got a set of these after a while saving and my were they worth the wait. definitely going for a second set for the front room. Amazing Sound and Look fab!! Was advised by Phil to purchase these instead of the Pioneers. He got it bang on the money and they sound incredible. Such a clear sound that will be loud enough for any room for practicing your mixing. They are solid cabs and the white looks slick The usual excellent next day service with a 1-hour delivery window. Incredible sound, I have them set up in a 5m2 room and they are the perfect size. I feel if I had bought the RP6's I would knocked my socks off, as these are LOUD!! Awesome sound quality, well worth the money spent, would definitely recommend these to anyone! 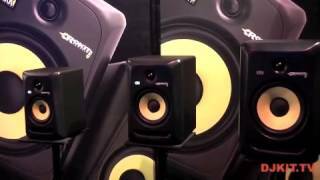 Seen a video for KRK Rokit RP5 G3 White online or have you own video? 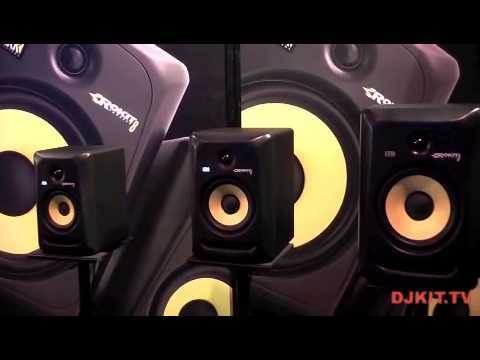 Check out KRK Rokit RP5 G3 White on DJkit.com!